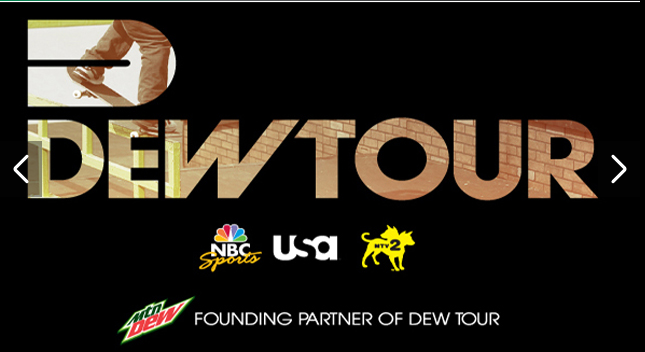 I Skate, Therefore I Am: The Dew Tour is back. Burr Ridge, Ill. – June 23, 2010 –The Dew Tour returns to Boston for the second consecutive year for the Skate Open, ISF Skateboarding World Championships, June 25 and 26 at TD Garden. Kicking off the 2010 season, Neon Trees and Paper Tongues will perform a FREE concert at City Hall Plaza on Thursday, June 24 at 8pm. 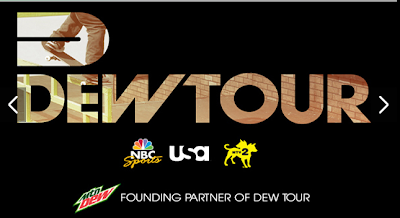 The five-city tour will continue on to Chicago, Portland, Ore., Salt Lake City, and conclude with the Dew Tour Championships in Las Vegas this October. Over 120 of the best skateboard athletes from 22 different countries will compete in Boston at the Skate Open in both vert and park. Highlighting the vert roster includes defending Dew Cup Champion and Skate Vert World Champion, Bucky Lasek, Boston-native Andy Macdonald, up-and-comer Alex Perelson, 2008 Dew Cup Champion Pierre-Luc Gagnon and vert legend Bob Burnquist. The defending Skate Park World Champion and three-time Dew Cup Champion, Ryan Sheckler will look to repeat his World Champion status again in 2010. However, he will have to contend with the likes of Paul Rodriguez, Chaz Ortiz, Ryan Decenzo, Nick Dompierre, Jake Duncombe, Greg Lutzka and Boston-native Jereme Rogers. Fans can catch the skate park final streaming live on www.Allisports.com , Saturday, June 26 beginning at 7:45pm EST. The defending women’s Skate Vert World Champion, Lyn-z Adams Hawkins (check out Lyn-Z interview here), will compete against young up-and-comers Allysha Bergado (check out Allysha Bergado's Interview here), age 13, and Lea Taylor, age 14, to regain her title again in 2010. Vanessa Torres will look to defend her title of women’s Skate Park World Champion. In addition to world-class competitions, the two-day event will also include a FREE concert by break-out bands Neon Trees and Paper Tongues– taking place at City Hall Plaza on Thursday, June 24 at 8:00pm – and an interactive Festival Village. The Festival Village will feature Mountain Dew and FUEL TV’s Green Label Experience, the Nike iD program where fans can customize their own pair of shoes, the NERF Dart Tag World Championships, free product giveaways, demos of the latest Sony and PlayStation games and electronics, and athlete autograph signings. Tickets to the Dew Tour’s Skate Open, ISF Skateboarding World Championships are available through Ticketmaster, Ticketmaster.com, and select Ticketmaster retail outlets, or by phone at (800) 745-3000. For Saturday’s finals, Action Zone tickets cost $100 a day for adults and children and provide access to priority reserved seating for all finals contests on Saturday, in addition to official Dew Tour merchandise, a behind-the-scenes tour, athlete autograph session, merchandise discount coupon, Fast Pass access into all venues and interactive areas and cold Mountain Dew. Reserved seating tickets will be $35 for children and adults and guarantees seating for all finals competitions. Grounds Pass tickets cost $15 for adults and children. Friday’s event tickets are on sale for $15 for all ages. The ticket will include admission to all preliminary round competitions held at TD Garden. Entering its sixth year, the top athletes in the world will take part in the 2010 Dew Tour, all competing for the highly coveted Dew Cup that will be awarded at season’s end to champions in each of the five disciplines, culminating at the Dew Tour Championships at the Hard Rock Hotel & Casino in Las Vegas. The 2009 Dew Cup champions include Chris Cole (skateboard park), Bucky Lasek (skate vert), Garrett Reynolds (BMX park), Jamie Bestwick (BMX vert) and Ryan Nyquist (BMX dirt).